Wanna hear all there is to know about the Almighty? Is your God a bit like Mr. Miyagi, the Jersey Shore "Situation," the retired Oprah God or perhaps your Hippie Aunt? Maybe your deity is likened to something else with a Joan of Arc "Face/Off" lift? Hopefully, God is much more than a cosmic vending machine, but ya never know...! Pull up a seat, put the earbuds in, and get ready for some godly good fun, friends. 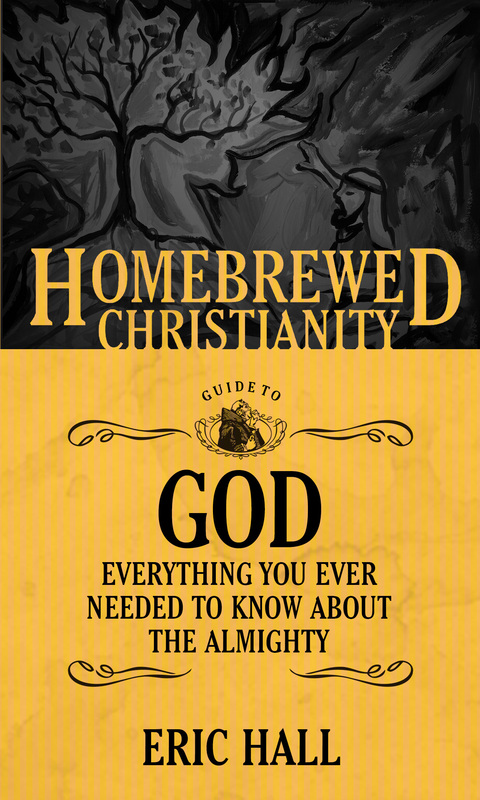 In episode 32 of the Brew Theology Podcast, Ryan interviews Eric E. Hall*, author of Homebrewed Christianity's Guide to God: Everything You Ever Needed to Know about the Almighty?" This was a blast recording this show. Go buy Eric's book. It's damn good and a helluva fun ride! If you like this episode and other Brew Theology shows, give this episode a nice 'lil share online, rate Brew Theology on iTunes and give BT a brewtastic review! P.S. We are hosting Homebrewed Christianity's Tripp Fuller and philosopher Peter Rollins in Denver on August 18-19. Head over to www.theologybeercamp.com to get info and tix. Follow us on Facebook & Instagram (@brewtheology) & Twitter (@brew_theology) Head over to the Brew Theology website, www.brewtheology.org to become a local partner, sponsor or contributor. Questions & inquiries about Brew Theology, the alliance/network, Denver community or podcast, contact Ryan Miller: ryan@brewtheology.org &/ or janel@brewtholeogy.org. *Eric E. Hall is the Archbishop Raymond G. Hunthausen Professor of Peace and Social Justice, teaching theology and philosophy at Carroll College in Helena, Montana. He's the author of The Paradox of Authenticity (2015) and a noted lecturer on faith and reason.